Looking for a stainless steel fabrictor in Albury Wodonga? 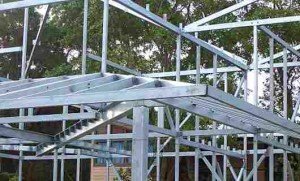 Braybrook Engineering is a modern and dynamic steel fabrication business located in Albury Wodonga. Braybrook Engineering is capable of production runs from low to high volume. We can design, manufacture, powder coat, galvanize, deliver and install any metal component to suit any of your requirements. All work is done in-house and it’s done on time and to budget, whether the job is a single bracket, thousand display stands, a mezzanine floor or gates for your factory premises. With over 20 years of experience our team is committed to customer service, high quality work and attention to detail. Take a few minutes to have a look around our website to see our capabilities. Should you require further information or you wish to contact us to arrange a custom quote for your job you can contact us by clicking here.